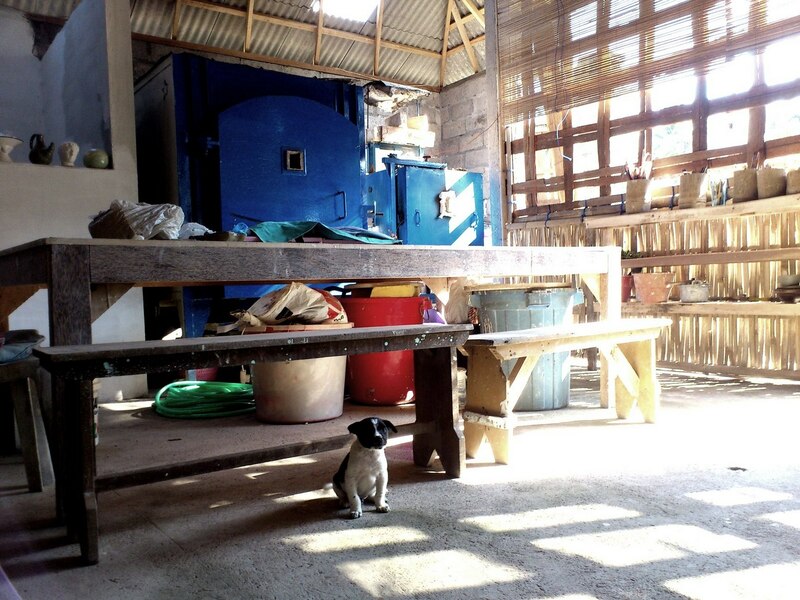 Welcome to Balinese pottery studio in Ubud! 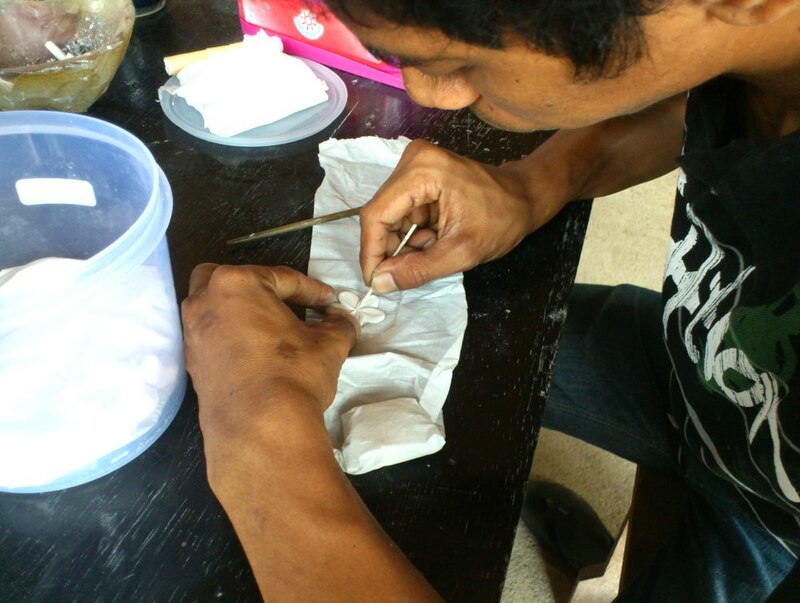 Do you want to learn ceramic art? or you’re already an independent potter? Artha ceramic welcomes you all ! I Made Artha started his own pottery studio Artha Ceramic in 2002. 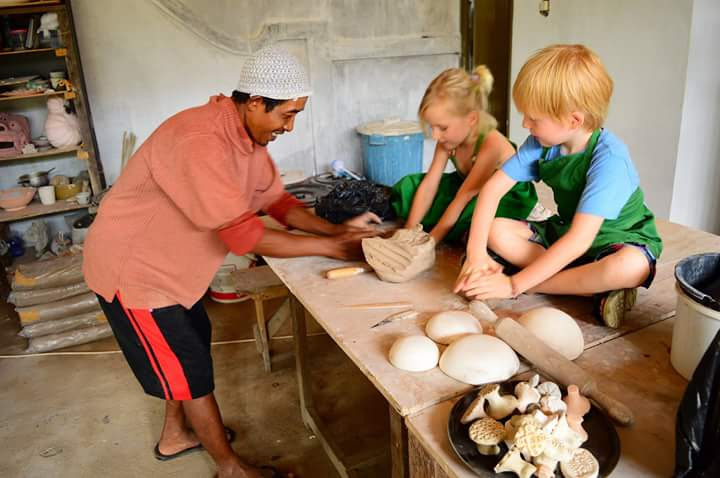 His love for clay let him create his own pottery studio step by step, nearby his family house. 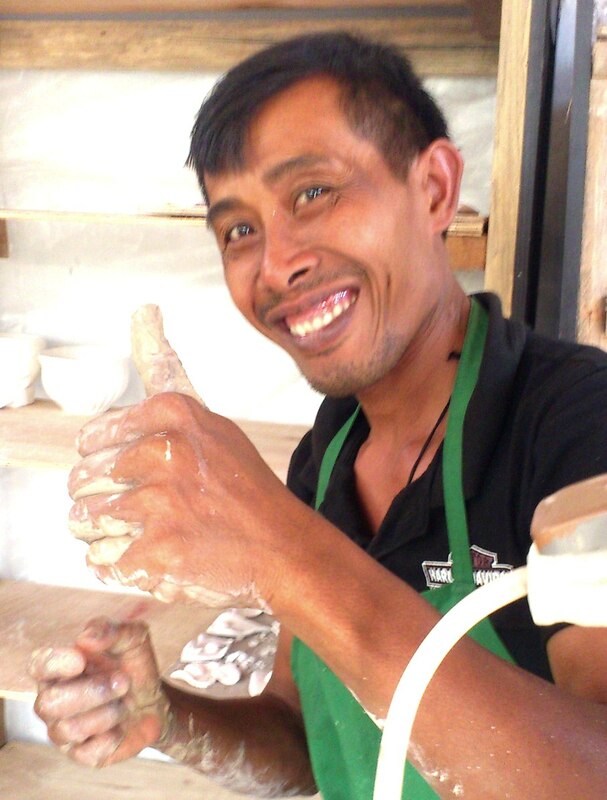 He’s been mastering his skills for years of work in ceramics- 13 years at Jenggala Keramik Bali and 9 years at Gaya Ceramic & Design. His huge experience made many art school students ask for his guidance. 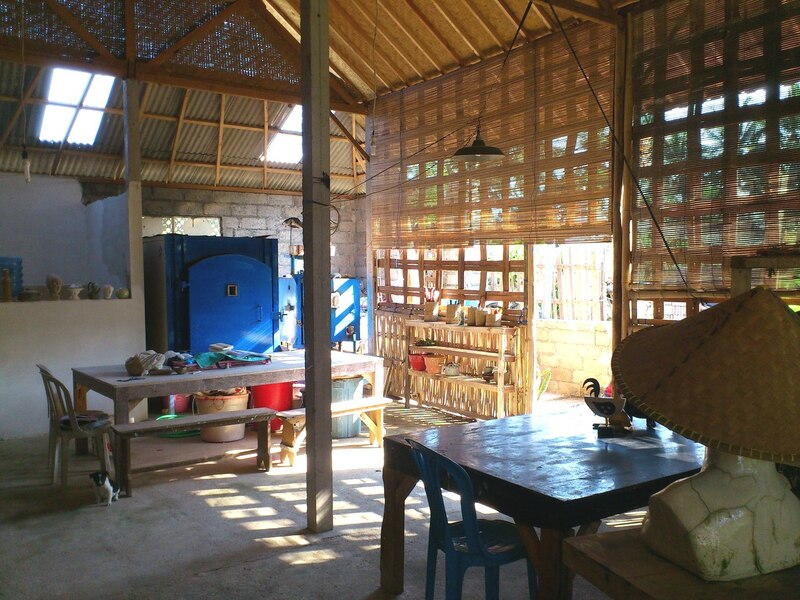 In 2013 Made opened studio’s doors to all who want to learn pottery or use the facilities. 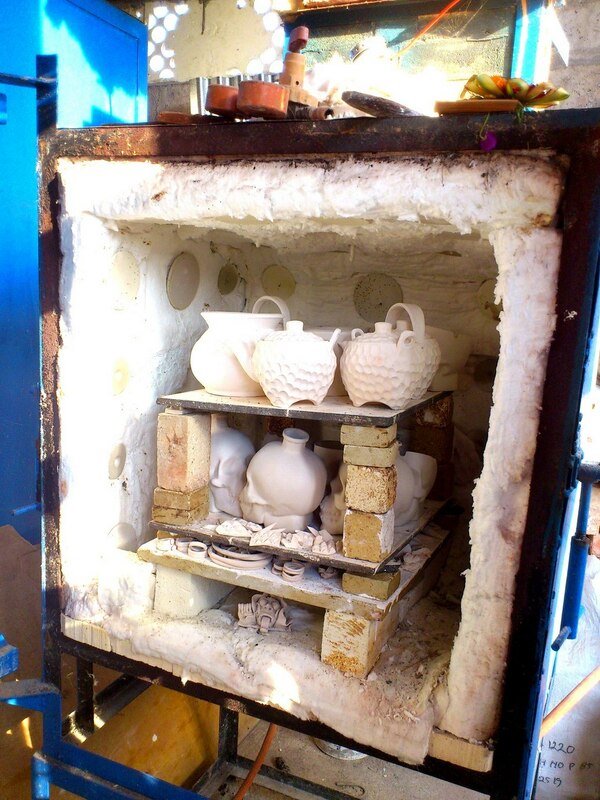 The studio is equipped with two gas-fired kilns, three potter’s wheels and two large working tables. Space is quiet, peaceful and supports well all creativity. For your use, there’s also a kitchen corner and a resting area so you can always feel at home. 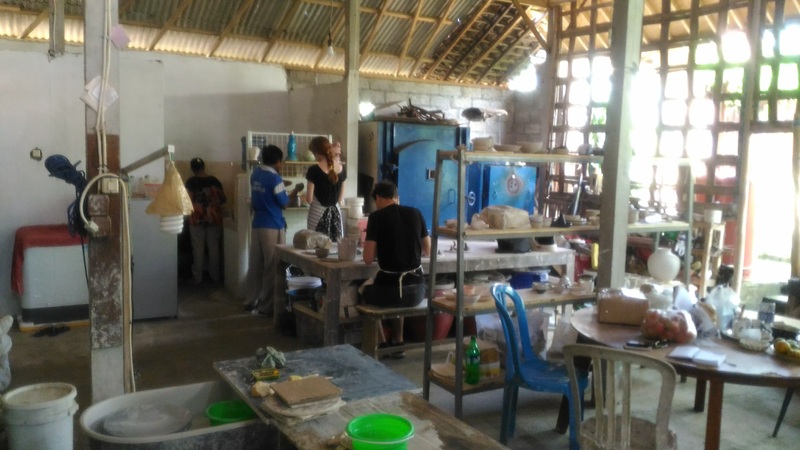 Made will be happy to show you a variety of ceramic techniques, including hand building, wheel throwing, decorating (sculpting, painting), moulding, trimming, glazing and firing. Made loves kids! And kids love clay! Made is a wonderful teacher. Really enjoyed my class with him. He is so patient, so encouraging, and so talented! Will be back again and again. We had so much fun here – we did both hand building and throwing from 9am to 1pm without a break. 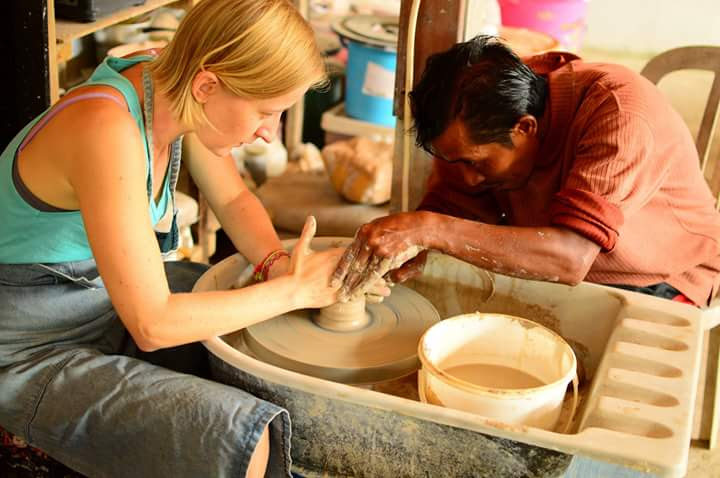 I thought we would not have time to finish off thrown pieces, but in Bali the sun dries the clay so quickly! We threw, finished and glazed all in one morning!! The pieces will be fired in two weeks or so, and when it’s ready they will contact us to ship to us. I loved the cite dogs and relaxed atmosphere. Teacher was great. We will come again! Copyright © 2017 Artha Ceramic. All Rights Reserved.